You believe that survival with 20 HP (10 hearts) in Minecraft is too little, aren’t you? You think that experience point in Minecraft is just for the equipment upgrade. It is quite useless, isn’t it? With Level Up HP, the player can collect more HP point to reach a specific experience point. 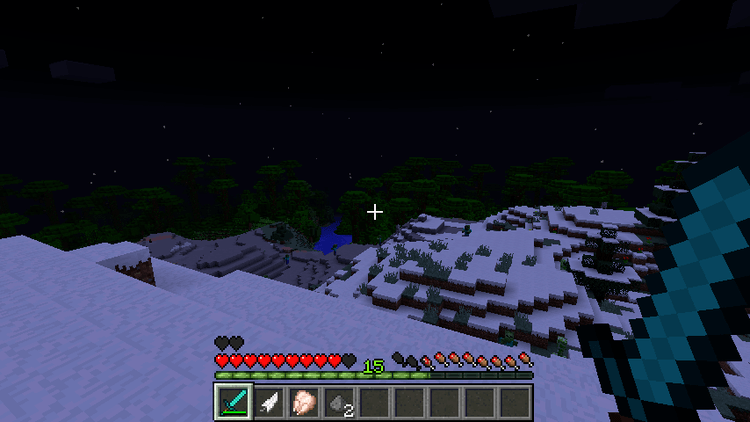 Moreover, because Level Up HP Mod 1.12.2/1.11.2 for Minecraft is meticulously programmed, the player can adjust all the related options. 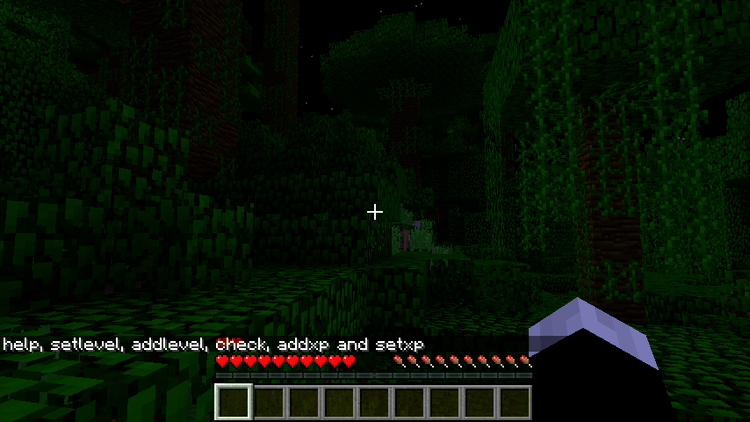 From that, the player can receive more HP without depending on some fixed options of the mod. Minecraft is a dangerous world. Everything may cause a negative effect on HP which is symbolized by 10 hearts in your Hotbar. Each heart is 2 HP, and each player has totally 20 HP. The figure for HP can be improved by Golden Apple. However, it is just a temporary method because, after a period, HP of the player will come down as before. Now, what happens when the player wants more HP than original amount? 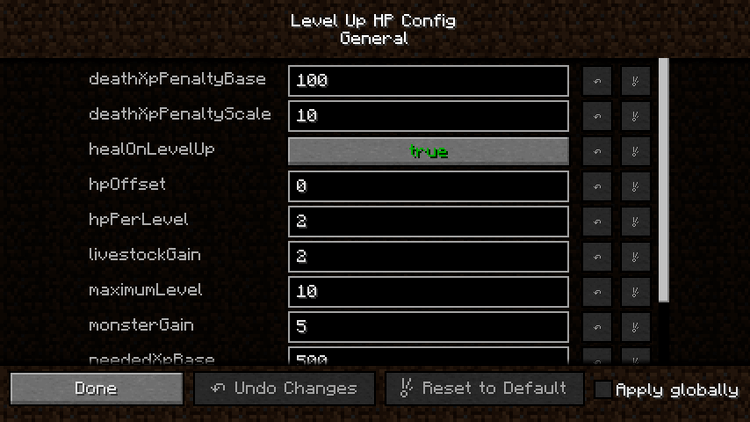 With Level Up HP, you can increase the original HP amount by killing monsters or hunting animals. Your HP increases following EXP amount you receive when you kill other creatures. By default, you receive 5 EXP by killing a monster and 2 EXP by hunting an animal. And the maximum HP you can get is 60 HP! 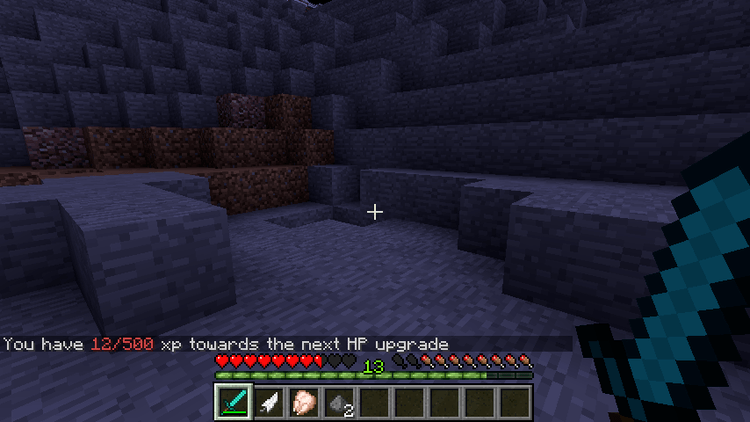 Level Up HP requires Forge Mod Loader and Minecraft version 1.11.2. Download Forge Installer, LevelUp-HP.jar file.